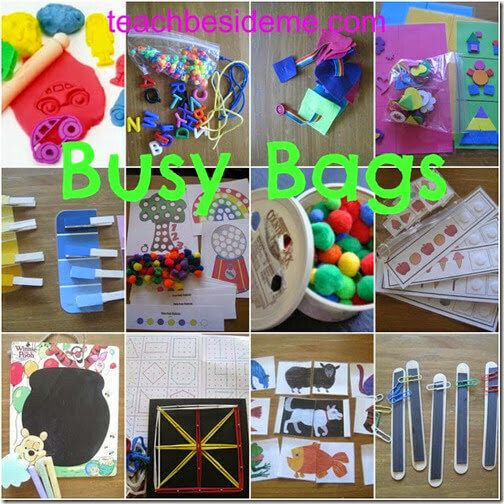 Toddlers and Preschoolers love the on demand fun and learning you get with busy bags. Does your family use busy bags? I love the convenience of having an arsenal of activities tucked away to help not only entertain, but educate. These are great to stick in your purse, to take to Grandma’s house, or in the car. I love the huge variety of Busy Bags Teach Beside Me shares.